천제연 난대림지대는 서귀포시 중문동에서 서쪽으로 500m 지점에 위치한 계곡을 따라 남쪽으로 형성되어 있다. 이곳은 온난한 기후대에서 자생하는 식물들이 빽빽히 우거져 숲을 이루고 있다. 난대림지대를 구성하고 있는 식물로는, 희귀식물인 솔잎란과 백량금, 죽절초, 담팔수나무, 구실잣밤나무, 조록나무, 참식나무, 가시나무, 감탕나무, 바람들칡, 마삭줄, 남오미자, 왕모람 등이 있다. 난대림지대 중앙에는 23m 높이의 천제연폭포가 있는데 선녀들이 내려와서 목욕을 했다는 전설이 있다. 천제연 난대림지대는 희귀식물과 난대성식물이 풍부한 우리나라의 대표적 난대림지대 중의 하나로 학술적으로 귀중한 자료가 되기 때문에 천연기념물로 지정·보호하고 있다. 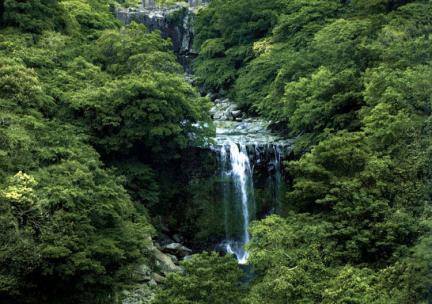 This subtropical forest is located around Cheonjeyeon Falls at the valley 500m away from Jungmun-dong, Seogwipo-si. In this place, the trees acclimated in the subtropical climate belt formed a forest. 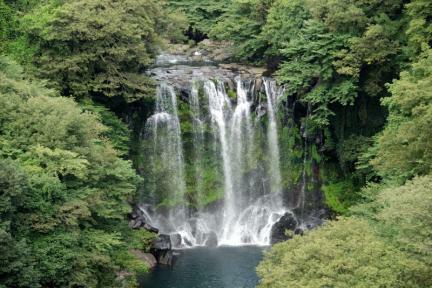 In the middle of the forests is Cheonjeyeon Falls, which is 23m high. 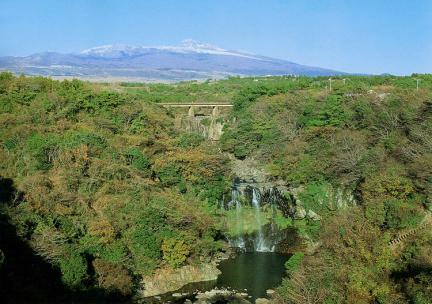 Legend has it that nymphs used to take a bath in this waterfall. 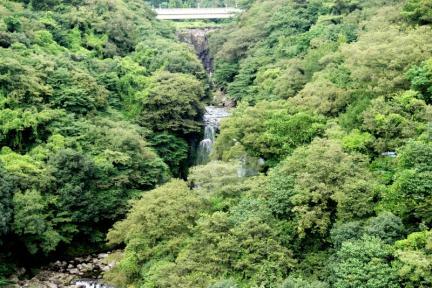 The subtropical forest near Cheonjeyeon Falls is valuable for scientific research because of the warm temperate plants and rare plants. 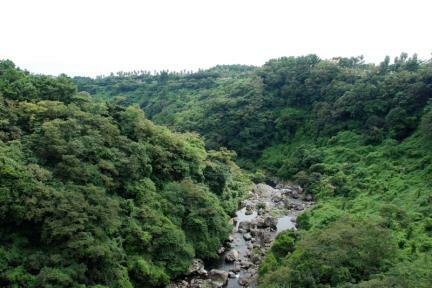 Therefore, it has been designated and conserved as a Natural Monument.